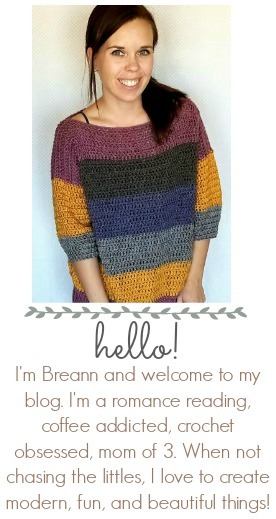 The Tweed Cardi Crochet Pattern is made with the pretty suzette stitch. 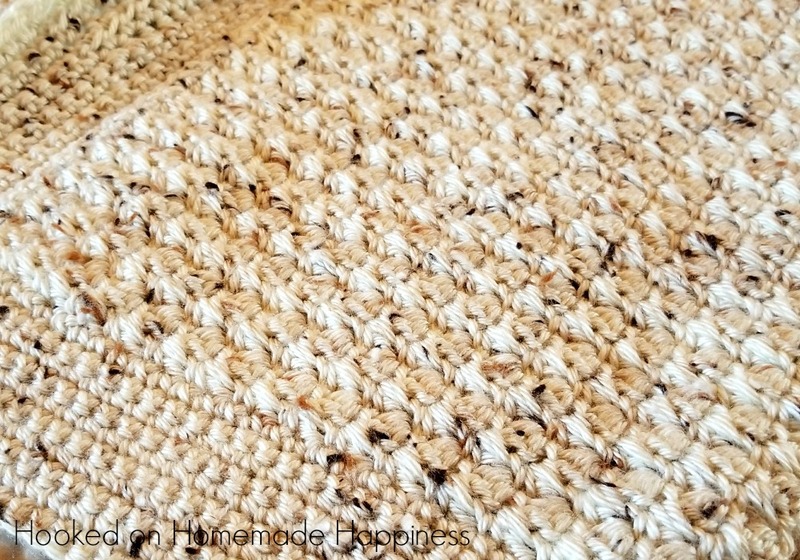 For added texture and design, I used Caron Simply Soft Tweeds. 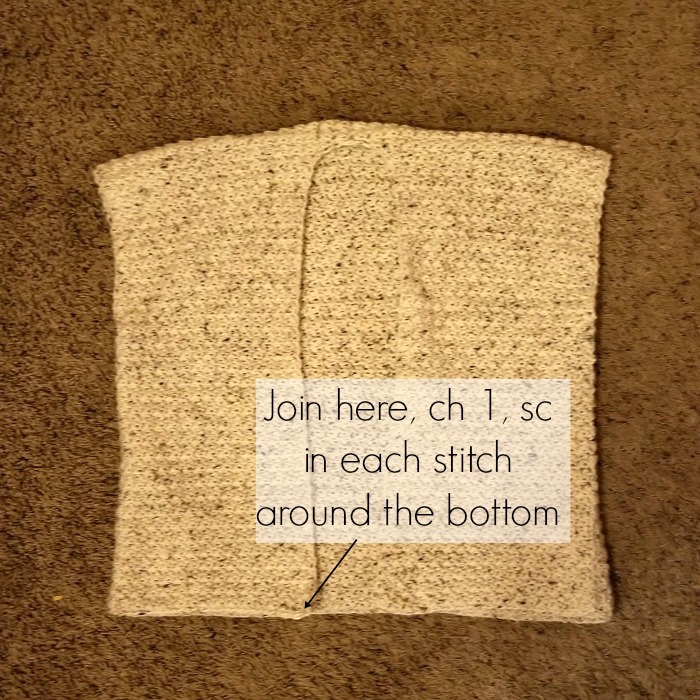 You can find a detailed photo tutorial of this stitch HERE. Repeat on other side. Fasten off, weave in all your ends. 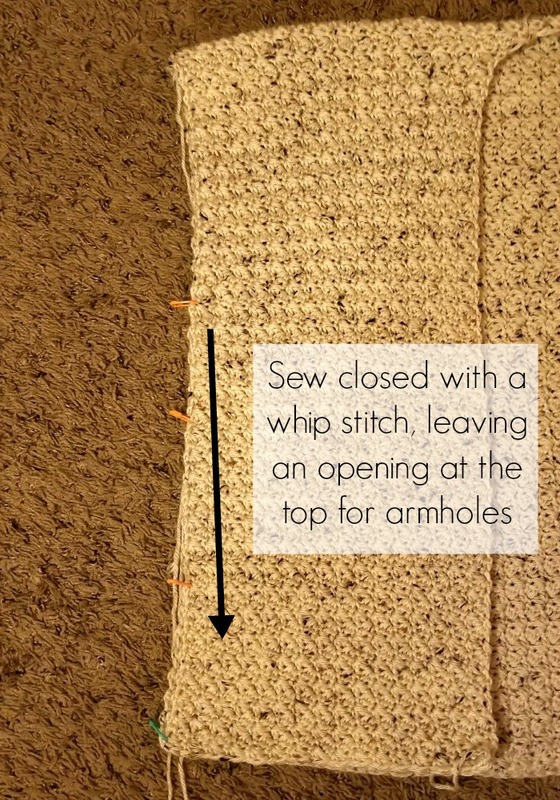 Turn cardi rightisde out so the seams are on the inside. 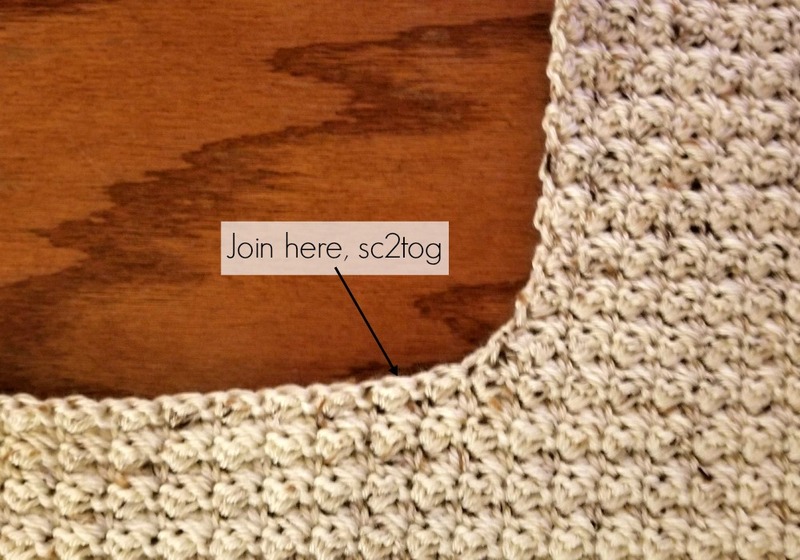 Join yarn to bottom corner. I need larger size also. But I just may make this for my sister. Avez-vous ce super tuto en français? I am unable to print out. Would like to make this. 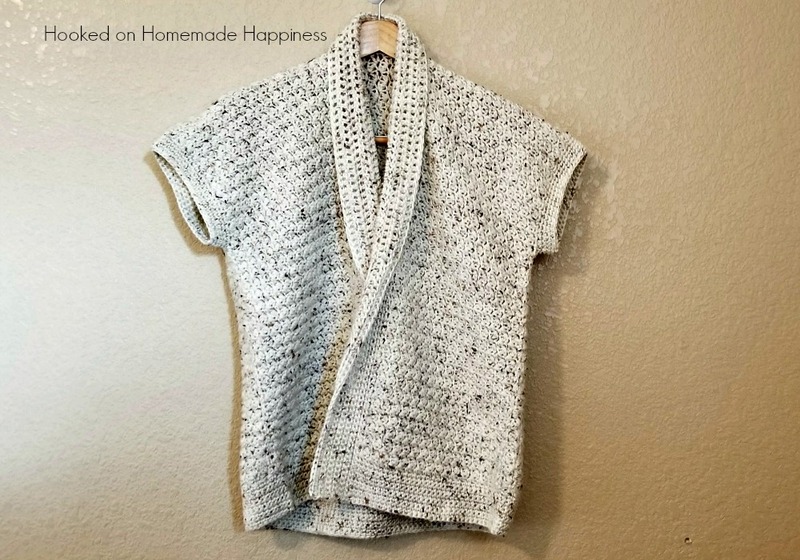 I just finished making this super cute little cardigan last night. I made it in a pretty hot pink, perfect for spring. Pattern was very easy to follow and the stitch design was very unique, not just your basic double crochet. Thanks for the design. 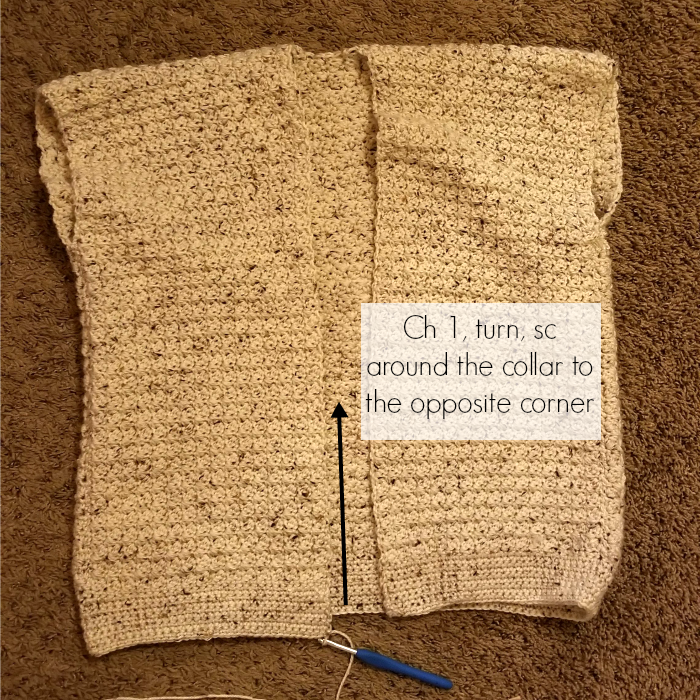 Trying to make this beauty cardi, but the gauge doesn’t add up – no matter what I do, I can’t get 7 rows to hit 4 inches – always 3 inches! 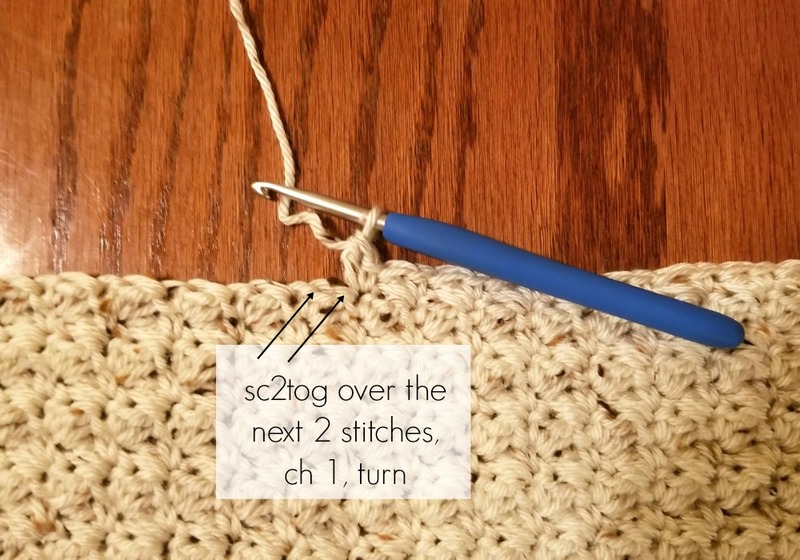 I even tried a larger hook as I can crochet tight, still 3 inches. I am a tall girl, so I don’t want this to be too short! Prehaps I can just do extra rows? Hi 🙂 I crochet loosely, so that could also factor in. You can add more rows to make it longer. I hope this helps! 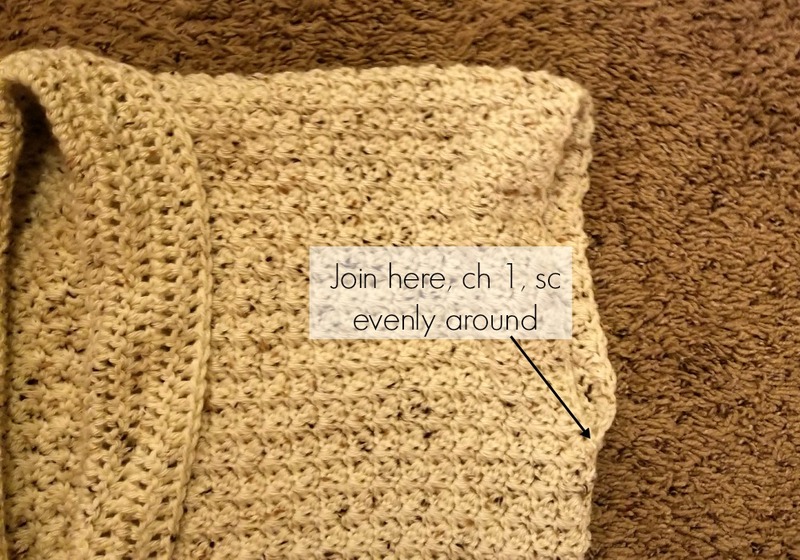 I have a quick questions about this -> ‘Row 2: ch 1, turn, (1 sc, 1 dc) all in first sc, skip the next dc, *(1 sc, 1 dc) in next sc, skip next dc* repeat from * to * across, sc in last stitch’ <- Which stitch does the last SC go into? The DC or the SC from the previous row? I’m just finishing this up in a dusty pink. I absolutely love this pattern and I cannot wait to wear my beautiful new Cardigan. 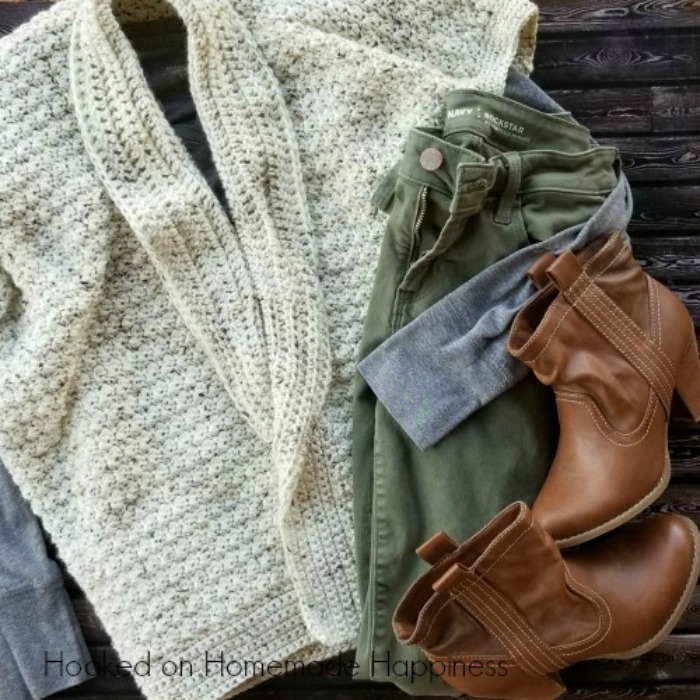 Thanks so much for a super simple and well detailed pattern! Can you tell me when you get to panels – it says Repeat row to row 133. Am I repeating just row 70 or 68-70? There’s 141g in Caron Simply Soft Tweed, so that’s 987g for 7 skeins. 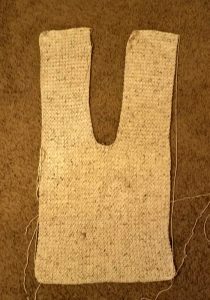 I have started the cardigan and before I go further wonder if you could assist with measurement. Like another comment, I had trouble getting the 7 rows to the 4”. So, I am trying to determine how many rows I need to do to get the a reasonable or equivalent measurement. For an XL go to row 73. 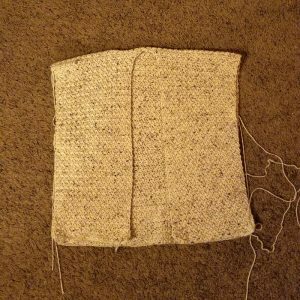 Based on the gauge 73 rows / 7 rows = 10.42 sections of 4” = 41.68”. Is this really the measurement I am trying to equate to or reach. Seems large, but I cannot picture in my head how it comes together. The pattern length says 27”. Sorry, I am really confused. Hope this makes sense and you are able to assist. I sent a message yesterday. I think I have figured it out and hope this message reaches you before you spend too much time on my query. Reviewing the pics again and again helped me.